School lunch is critical to student health and well-being, and ensures that children have the nutrition they need throughout the day to learn. 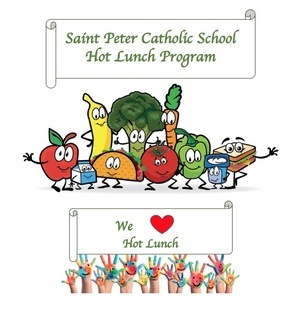 Saint Peter offers hot lunch to all students, but in order for our program to succeed, we need volunteers willing to serve each day. Additionally, this is a great way to receive your volunteer hours. Hot Lunch Servers are required to complete and turn in their volunteer packets prior to serving. Thank you in advance for your support and we look forward to seeing you this year!